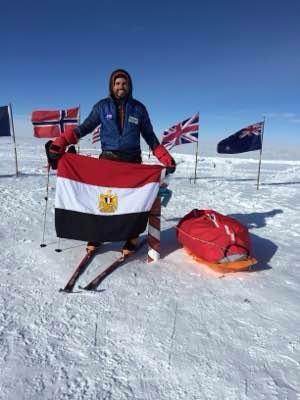 Omar Samra, the first Egyptian and youngest Arab to climb Mount Everest, has become the first Egyptian to ski the Geographic South Pole. Samra, 36, who announced the achievement on Facebook, said that he raised the Egyptian flag at the Geographic South Pole at 5:50PM Egyptian time. News of the achievement came late as the result of bad weather conditions, which have left Samra stranded in Antarctica until weather conditions permit him to fly out to Chile and then to Egypt. Samra is not a stranger to adventure. 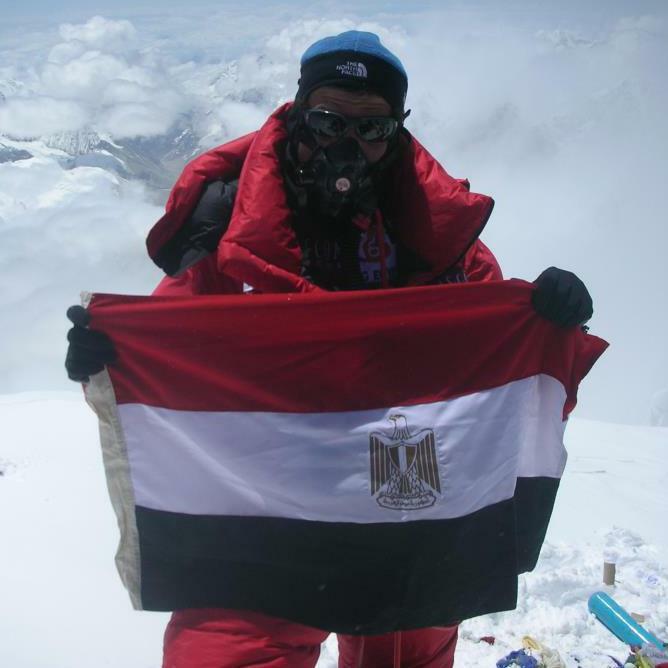 He became the first Egyptian to climb the highest mountains on all seven continents in May 2013. Samra also won a competition in 2013, becoming the first Egyptian set to be sent to space as an astronaut.